There was a time when it was hard to distinguish between one river cruise and another. More recently, though, river-cruise companies have set out to distinguish themselves from their rivals with a variety of more thoughtful, focused cruises. These not only attract special-interest travellers, but encourage repeat customers back to the same destinations for a different experience. There is now a growing variety of themed river-cruises from which to choose, covering topics as diverse as blues music, autumn foliage, golf and gardens. When you take a themed cruise you don't miss out on a regular cruise's sights; you do get additional insight, and a new focus that can uncover a new dimension of rivers you may have cruised before. Food and wine are big components of many river cruises, but if you really want to indulge the inner gourmet then pack your appetite for a food-themed cruise. Uniworld's Connoisseur Collection series in Europe includes special treats such as a search for truffles on a farm in Provence or, in the Bordeaux region, chateau food-and-wine pairings and visits to the Cite du Vin interactive wine museum. On Seine cruises, you can do homage to Julia Child at La Couronne in Rouen, where the famous American chef had her first French meal, the one that launched her love for French cuisine. 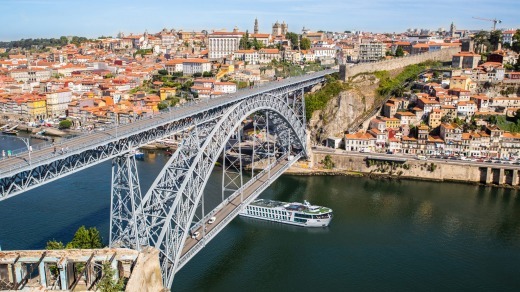 Emerald Radiance cruises a river in Porto. Tauck's Savouring France cruises on the Rhone River explore culinary capital Lyon and include private wine tastings in the vineyards of Beaujolais and Chateauneuf-du-Pape, plus a cooking class in Valence. Scenic has a one-off South of France Culinary Cruise in late July 2019 with wine tastings, a class in French cuisine, and visits to local markets and the Valrhona chocolate factory. APT collaborates with celebrity chef Luke Nguyen who, in 2019, will be hosting a Grand Bordeaux cruise in August and a Mekong River cruise in November, during which he will share his travel experiences and cooking tips, and prepare an exclusive dinner. In Vietnam, he'll also be hosting a cooking class in his family's hometown, Ho Chi Minh City. Nguyen also prepares some of his favourite dishes on board, including XO tiger prawns, tea-smoked duck and pandan creme brulee. Many European river cruises (plus those on America's Columbia River) sail through notable vineyards, providing a good opportunity to discover more about local wines on excursions to cellar doors and wine chateaux. Few are specifically wine-themed, but most cruises, especially on Portugal's Douro River or in the Bordeaux and Provence regions of France, will have an emphasis on wine. APT has occasional Wine Series cruises that in September 2019 visit Bordeaux and the Rhone regions of France. On the Bordeaux cruise, passengers join a wine expert for a harvest tour at Chateau Busquet, enjoy a wine-tasting dinner at World Heritage-listed Chateau de Ferrand in the legendary Saint-Emilion vineyards, and visit a cognac house and Medoc cooperage. 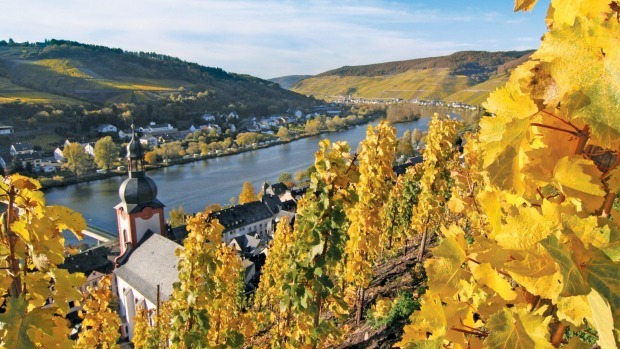 Avalon Waterways has the greatest range of wine cruises, with 20 itineraries on the Rhine, Danube and France's rivers in 2019 that involve wine-pairing on board and encounters with winemakers and wine merchants. The company also has six departures next year for beer enthusiasts in Holland, Belgium and Germany that include on-board beer tastings and lectures on European beer-brewing, as well as shore excursions to historic breweries. Most Seine River cruises feature shore excursions to D-Day beaches, and occasional World War-themed itineraries tie in with special commemorative events. More regularly, both Avalon and Uniworld have cruises that focus on Jewish heritage in central Europe, during which guests visit Holocaust memorials, Jewish museums and World War II sites. These cruises also take a broader, more uplifting look at the long history of Jews in Europe and their many cultural contributions. The American Civil War is a regular theme on Mississippi River cruises. Both the American Queen Steamboat Company and American Cruise Lines run Civil War itineraries that visit important battlefield sites. Historians give on-board lectures on the war and the strategic importance of the Mississippi River during the conflict. Given the culture-dense destinations visited by European river-cruise ships, the dearth of art-themed cruises is surprising. However, Uniworld has occasional Floating Art Workshop cruises for those who want to paint rather than admire art in museums. An on-board art instructor and mentor travels on two Uniworld cruises in 2019, to Holland and Belgium in March and Bordeaux in June. Amadeus has several cruises on the Rhine and Danube for lovers of classical music, with special music programs on and off the ship. Private concerts are held in places such as Speyer Cathedral, Beethoven House in Bonn and Melk Abbey in Austria. Tauck and Avalon are other companies with musical cruises in Europe, with Avalon offering not just classical music but jazz as well. American rivers – especially the Mississippi – feature a variety of blues, jazz and other music cruises. Some American Queen cruises in 2019 host guest songwriters from the Nashville Hall of Fame, who provide additional musical insight. Many cruise lines offer themed cruises to coincide with the springtime tulip season in the Netherlands, with the highlight a visit to Keukenhof gardens, where 7 million spring bulb flowers – crocus, snowdrops, hyacinths, daffodils and especially tulips – erupt. Commercial fields of tulips spread swathes of colour across the surrounding countryside. At the other end of the river-cruise season, Christmas cruises are offered by most river-cruise companies on the Rhine and Danube in Europe. You can do Christmas cruises in America, too, including some that explore Creole and Cajun traditions and food. Tauck is notable for a family-friendly Holiday Magic cruise on the Danube River, departing from Munich on December 23, 2019, that includes a scavenger hunt in Bratislava and visits to the Silent Night Chapel near Salzburg, a sweet workshop in Passau, and numerous Christmas markets.